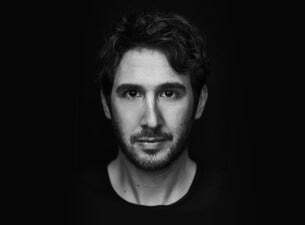 Internationally renowned multi-platium singer-songwriter, JOSH GROBAN - who is currently in Australia for a promotional visit celebrating his latest album release, ‘Stages’ – will make a very welcome return to Australian concert stages in April 2016 for a series of east coast performances. Following hugely successful 2007 and 2013 tours, in 2016 Groban will be accompanied in Melbourne and Brisbane by an orchestra and choir, and accompanied during two special nights at the Sydney Opera House by the Sydney Symphony Orchestra. Tickets for all shows go on sale at 10am, Monday August 3. Fan club members can access pre-sale tickets from 1pm this Friday, July 24. My Live Nation members can be among the first to secure tickets during the pre-sale beginning at 9am next Monday, July 27. Josh Groban continues to entertain his adoring fans around the world with superb, powerful live performances of the highest calibre. Recent sets have included works spanning his immensely successful recording career beginning with the 2001 Australian-platinum self-titled debut album, double-platinum ‘Closer’, ARIA top 5 ‘Awake’, 2010’s ‘Illuminations’ and 2013’s ‘All That Echoes’. Josh Groban delivered his latest studio album, ‘Stages’ (through Warner Music Australia) in April this year. The highly-anticipated album, a collection of some of the greatest musical theatre songs of all time, debuted at #6 on the ARIA album chart, #2 on the Billboard 200 chart and #1 in the UK, adding to career sales already surpassing 25 million. Following the release of ‘Stages’, Groban has today begun a seven-day promotional visit that includes exclusive radio showcases in Melbourne and Sydney where he’ll perform cuts from the album, and performances on Channel Seven’s Sunrise, The Morning Show and Dancing with the Stars. Don't miss an evening with one of music's most distinctive talents when Josh Groban for four very special Australian shows in April 2016.